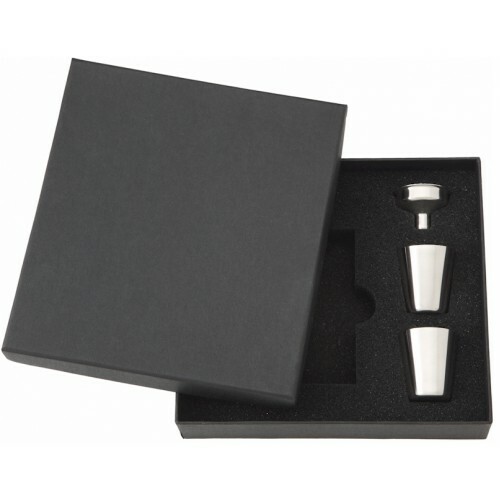 This elegant 6oz stainless steel flask is designed with the working woman in mind. The sleek and compact 6oz design holds just enough alcohol to take the edge off but not so much the user gets stupid. The laser welded joints are guaranteed not to leak and as an added protection we use a sophisticated machine to individually leak test each and every flask to insure the alcohol in this flask stays in this flask! 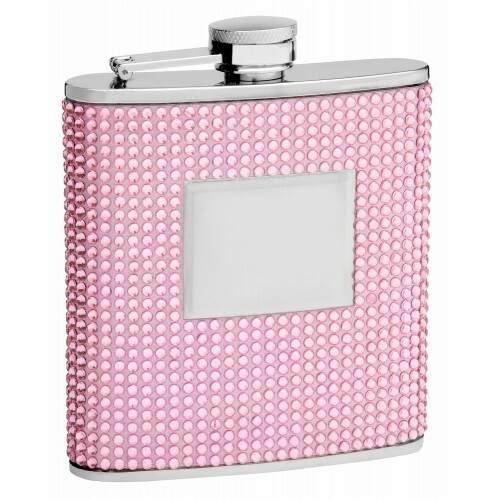 The gorgeous pink crystals are hand placed for accuracy and give a personal touch to each flask. 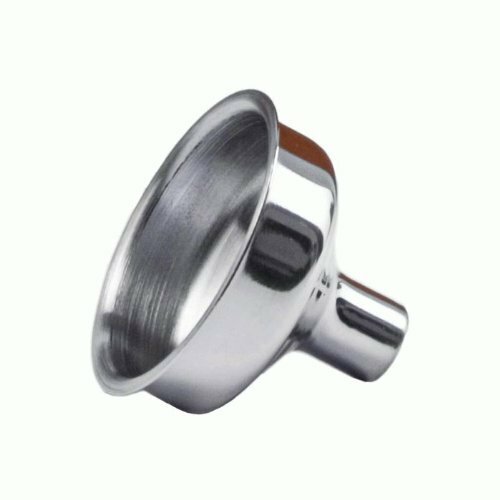 The cap screws down and has a permanent hinge attaching it to the flask body so it cannot be lost or misplaced. 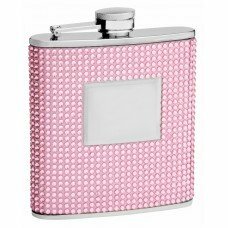 The food quality stainless steel and heavy gauge thickness give this pretty little flask a quality look and feel ensuring whomever receives it will absolutely love it! The flask holds 6 fluid ounces and measures 4" top to bottom (4.5" if you include the lid.) Across it measures 3-3/4" and is 1" thick. 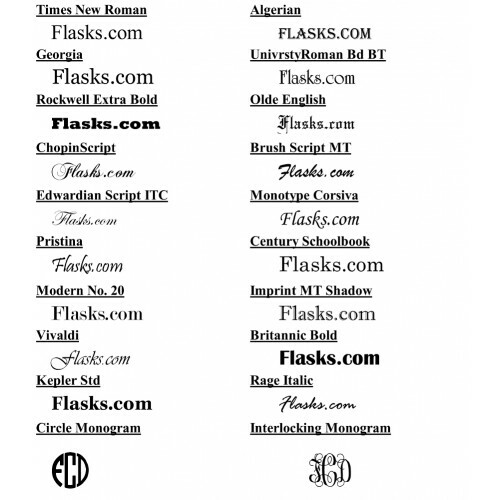 The engraving area is 1-1/2" X 1-1/4" and can easily accomidate a name, initials, monogram or short sentence.